Reaver Titan Decree! | 30mm Madness! 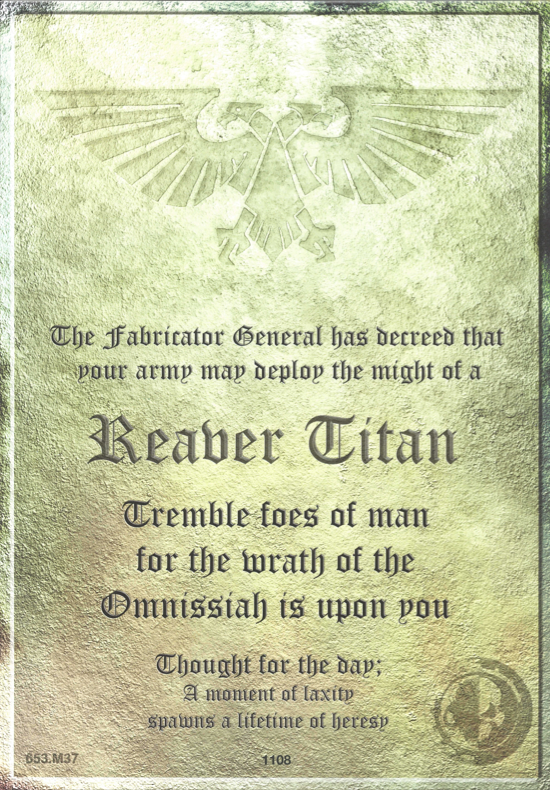 The fabricator General has decreed that my army may develop the might of a reaver titan. The Adeptus Mechanicus are cowering in inspired awe at the intersteller cargo container that arrived via UPS at my doorstep yesterday from Nottingham, UK. So…much…resin. While intimidated, the will is strong and the project will commence! Titan #1108 shall become infamous to the enemies of the empire and mankind! This entry was posted on January 5, 2012 by justinhardin. It was filed under Legio Titanicus, Warhammer 40K .